You are currently browsing the tag archive for the ‘volunteers’ tag. In a very recent study on “Paid vs. Volunteer Work in Open Source” (PDF), Dirk Riehle and others found that “about 50% of all open source software development has been paid work for many years now and that many small projects are fully paid for by companies.” However, in openly licensed projects outside of the software realm, the co-existance of paid and volunteer contributors is often considered problematic. For example, while paid coding is uncontested and vital for open source software, paid editing in Wikipedia is often seen as a danger to both the project’s neutral point of view and the motivation of unpaid contributors. the dismissal of Sarah Stierch, whose paid-for editing activities were first revealed in a blog post. 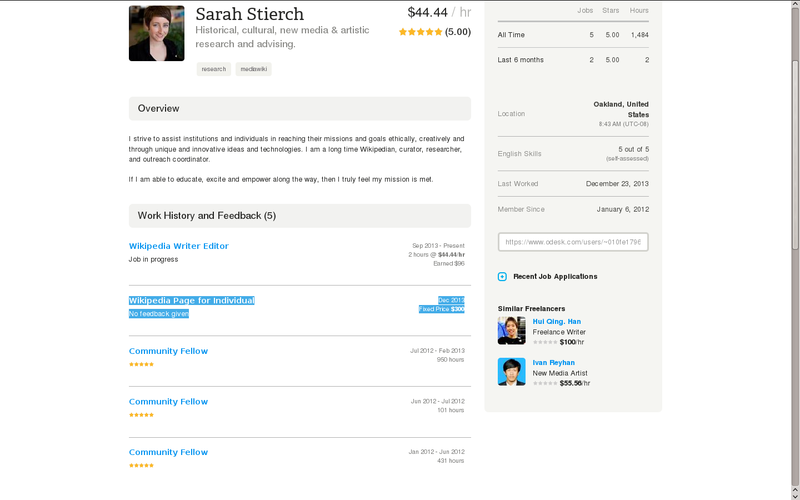 This included a screenshot of Stierch’s profile on oDesk, a global clearinghouse for the hiring and management of remote workers. The profile showed that she had been paid US$300 to author a Wikipedia page for an “individual”, along with two billed hours for a “Wikipedia Writer Editor” job that was “in progress”. On a more general level, paid editing had already been an issue in the German Wikipedia community. Wikimedia Germany, the local Wikimedia chapter organization, had even funded a project on “Grenzen der Bezahlung” (literally: “Limits of Paying”) to discuss and evaluate issues around paid editing. 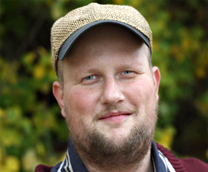 The project was run by Dirk Franke, a long-standing member of the German editing community, who very recently has taken up a position with Wikimedia Germany (unrelated to paid editing). The following interview was conducted in German and Dirk Franke emphasized that he was speaking only for himself, not his new employer. You have been working on the limits of paid editing in Wikipedia in a project funded by the Wikimedia Foundation. What was your main question? Dirk Franke: Actually, the project was funded by the German Wikimedia association, which is legally independent from the focal Wikimedia Foundation. In addition, I have not conducted the project for Wikimedia but rather in the course of a grant program, where members of the community could suggest different projects; I always understood it that way that I was conducting the project for the Wikipedia community and not so much for the chapter association. The question was more a practical one. Paid editing is both a forseeable problem and a forseeable development. Thus, the question was, how can I encourage the community to think about the issue even before the problem is immediately around the corner and it is in fact to late?